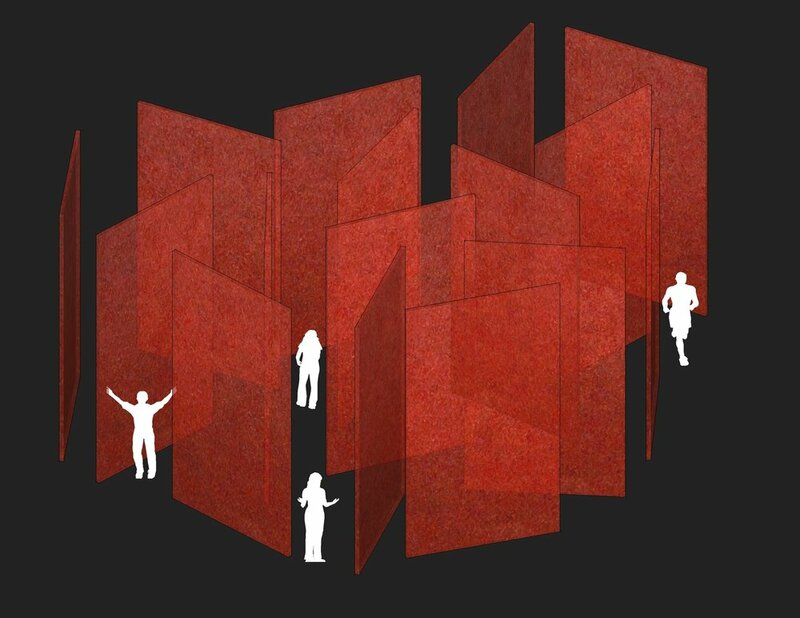 Inspired by the myth of the Minotaur, Cross my Heart takes place in a labyrinth of 20-foot high hanging fabrid walls. Three teams of three players chase and are chased, and also act themselves as the walls of the maze. Headdresses by Danielle Baskin.